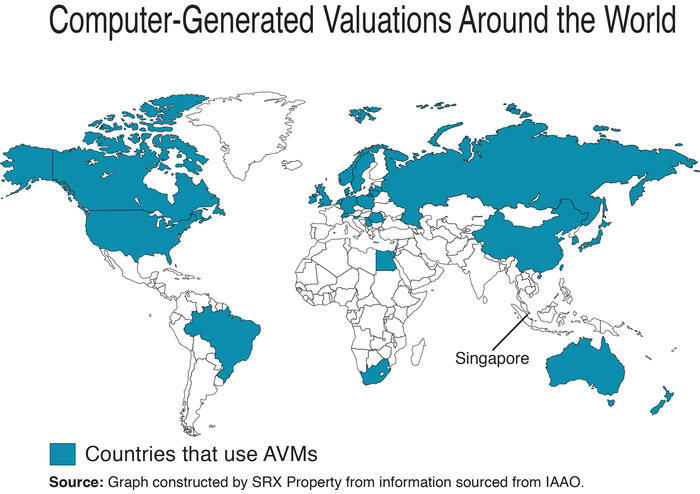 According to an article published in International Association of Assessing Officers (IAAO) in July 2014 (Source: Moving Automated Valuation Models Out of the Box), Automated Valuation Model (AVM) is used in most developed countries including US, Canada, Sweden, Germany, Australia, New Zealand and the UK. With respect to AVM establishment, the United States arguably has the strongest reputation across the globe. For more than 20 years, AVMs in the United States have served a wide array of industries, being used for property tax assessment, fraud detection, loan origination, portfolio valuation, and more. In Australia, AVMs have been officially recognised by APRA (Australian Prudential Regulation Authority ) as being an appropriate valuation technique in appropriate circumstance (Source: Best Practice Validation and Comparison for Automated Valuation Models) . In 2015, informal evidence from two of the “big 4” banks in Australia indicates that more than 30% of all mortgage applications are valued solely using AVMs, while up to a further 20% of applications are valued using AVMs in conjunction with other methods. The rest of the document highlights AVM usage in these selected countries: US, UK, Australia and New Zealand. Some of the popular AVMs in the US: Freddie Mac's (a well-known bank) Home Value Estimator (HVE) and CoreLogic PASS®. Fraud identification and prevention by enforcement, taxation, customs, and oversight agencies. AVM reports may be sufficient as stand-alone products, or they may lead to a request for a more detailed appraisal report based on the needs and usage of the intended user. When clients request AVMs for a limited and specific use, the AVM report will provide quality information to the intended user quickly and inexpensively. There are several report formats associated with the development of an AVM and the reporting of an individual property’s estimate of value. The development of an AVM formula involves the analysis of the historical market place (real estate) information in order to create value estimates at a particular point in time. This market analysis should comply with Uniform Standards of Professional Appraisal Practice (USPAP) Standard 6: Mass Appraisal, Development and Reporting. There should be a detailed report to document and support the market analysis process and the final valuation formula. When requesting an AVM, the client is normally not interested in complete narrative reports. AVM clients want quick standardized indicators of value, that may be retrieved from the AVM systems by support personnel without professional real estate training or knowledge. This includes the general public, which may be interested in an indication of value for properties that they already know, such as property owners who request an AVM to check the current market value before making various economic decisions. This requires a restricted use report that is limited to the immediate intended user (client) of the AVM report. These restricted use reports are typically limited to generally acceptable property identification such as street address, indication of value, some basic property descriptive characteristics, known additional indicators of value (such as last sale price/date and property tax assessment), and report date. There may be additional qualification and limiting conditions information as described in USPAP Standard 6–7 (mass appraisal report) that is not of general interest to the intended user. These restricted reports are generally one to a few pages in length. These are the reports referred to in USPAP AO–18, Use of an Automated Valuation Model (AVM), which states that the output of an AVM is not, by itself, an appraisal. These restricted use reports are simply the application of an AVM model formula to an individual property and do not contain the supporting documentation of the appraisal process performed to create the formula, which should be in the documentation report. When an appraiser reviews or changes an AVM report prepared by a separate AVM provider, the results are called AAVMs. The appraiser can provide an additional opinion of the estimated value and usually will sign the report and confirm the value. All AVM reports can have their estimates of value overridden by an appraiser’s opinion of value. In most cases, appraisers are limited in their ability to change an AVM report. AVM reports based on the traditional formats of the cost, sales comparison and income approaches are the easiest for appraisers to change. It combines the most desirable parts of the AVM (unbiased market analysis and consistently applied model formulas) with the most desirable parts of the field appraiser (property inspection, local knowledge and experience). The AVM provider sends the AVM report to the appraiser in electronic format. The appraiser performs a desktop review or one of various levels of inspection, as desired by the client, and corrects/confirms the AVM report and value estimate before delivery of the appraiser’s final opinion of value to the client. HVE uses unique proprietary algorithm that blends model estimates returned by repeat sales model and hedonic model. HVE provides extensive coverage of all 50 states and more than 3100 counties with its database of approximately 81 million property records. HVE data simplifies the mortgage process by streamlining the collateral valuation cycle. PIW is a fieldwork recommendation that results in an offer to waive the appraisal for certain lower risk transactions. The PIW is offered through DU and the Automated Property Service (APS) and uses Fannie Mae’s proprietary AVM and credit risk management techniques to determine if the appraisal may be waived for loans delivered to Fannie Mae. When determining PIW eligibility, DU and APS will apply the maximum allowable combined loan-to-value ratios (CLTV) consistent with limits published in the Selling Guide, though PIW will not be offered on CLTVs greater than 80% in DU or APS. Four companies now provide AVMs in the UK, regularly refreshing their data and testing for consistency and accuracy. They are Calnea Analytics, Hometrack Data Systems Limited, Rightmove plc, UKValuation Limited. Lenders use AVMs for portfolio valuations, securitisation and repossessions whilst panel managers use them to audit valuations and demonstrate service quality to clients and professional indemnity insurers. AVMs are also used in non-purchase mortgage loan products, such as further advances, home equity withdrawal and extensive remortgaging. These more restricted valuations are typically limited to loans with low-risk borrower and property characteristics. Lenders manage the perceived risk of AVMs through setting parameters based on loan to value (LTV) ratios, property type, loan ceilings, value ceilings and confidence scores, the aim being to ensure that AVMs are only used for low risk cases. Some lenders extend these constraints where the AVM outputs are scrutinised by a valuer. Properties are also excluded from AVM use through criteria based on design, size, construction, age, postcode, legal title and location. Loan origination process or subsequent revaluation for credit decision purposes: Lenders can now obtain an AVM that can sometimes be used prior to processing a case, to see if the proposed figures are likely to be adequate, without going to the cost of a full valuation by a human valuer. It introduces a level of risk that the lender necessarily accepts. Alternatively, an AVM can be used part-way through a mortgage term to check how a property value may be changing. In-arrears assessment and planning: Lenders may wish to check the value of a security to establish, where the customer is in arrears, if the loan is still likely to be secured by the value of the property, and what scope there is in arrears planning. The AVM offers a cheap and quick indication. In an audit of valuations: Lenders, and those who audit valuations, will sometimes obtain a second valuation from an AVM supplier to serve as an audit of the original valuation. This can occasionally be applied across a range of properties, as well as in individual cases. For mass appraisal, such as for local taxation purposes: A model sometimes called Computer Aided Mass Appraisal (CAMA) is a sophisticated AVM capable of providing valuation estimates for thousands or millions of properties, cost-effectively. For the provision of valuation estimates for individual capital tax purposes: for individual properties or for a portfolio, to provide a quick estimate of likely tax implications, to aid with tax planning. For the identification of fraudulent activity: An AVM applied to a range of properties and their valuations can distinguish activity that does not follow the normal market trends. For the provision of valuation estimates for large scale asset valuations, for example, a portfolio of local authority-owned residential properties, or the sale of a mortgage book in respect of ‘securitisation’: Here an AVM can be used, potentially cost-effectively, to provide sample valuations for portfolio purposes or for the valuation of a whole portfolio. For estimating compensation payments to owners of residential property due to the effect of the use of new public works, for example, road schemes or airport expansion, and so on: Public authorities may find an AVM a quick and cost-effective way of estimating the likely cost of compensation as part of a total ‘scheme’ cost. An appropriate model can provide a prescheme value estimate of affected properties and keep this up to date as necessary. For cost/benefit analyses for potential public expenditure, for example, for flood relief schemes: Similar to the above, when estimating the cost or benefit of public works, an AVM can rapidly and economically provide a total cost estimate of the residential value of properties likely to be affected to aid a cost benefit exercise. For lending (capital adequacy purposes): AVMs can be applied to a portfolio of property subject to mortgage finance, to obtain an indication of how well they are performing. This can assist the lender and their accountants in determining capital adequacy ratios. The Royal Institute of Certified Surveyors (RICS) Red Book (VS2.4) mentions that ‘If the intention is to link the AVM to either a ‘desktop’, ‘drive-by’, ‘pavement’ valuation or external appraisal then this would form a Restricted Valuation which is referred to in VS 2.4’. The valuer will have to advise the client in writing of the manner of the valuation and the restrictions that would apply. It then goes further in indicating that this form of valuation should not be disclosed to any third parties. Every lender’s AVM valuation policy is required by the Financial Services Authority to be overseen and signed off by an independent valuer to meet the Capital Requirements Directive. Model 3: outsourced ‘surveyor overview’ operated by central valuer. Can upgrade to higher level valuation if required. It involves a very small number of specialist valuers providing a centralised check of AVM outputs for smaller lenders, on the basis that these clients lack the in-house resources to do so themselves. Model 4: in-house valuer assisted AVM (VAAV) involves a larger team of geographically dispersed in-house valuers, checking AVMs locally, in circumstances that are marginally outside the normal constraints for their use. This is a minority activity, sitting alongside their mainstay traditional valuation workload. The first two models do not involve valuers in daily operations. Models 3 and 4 rely on valuer’s personal expertise as well as incorporating AVM outputs. All four AVM providers in the UK are developing products specifically for use by valuers. 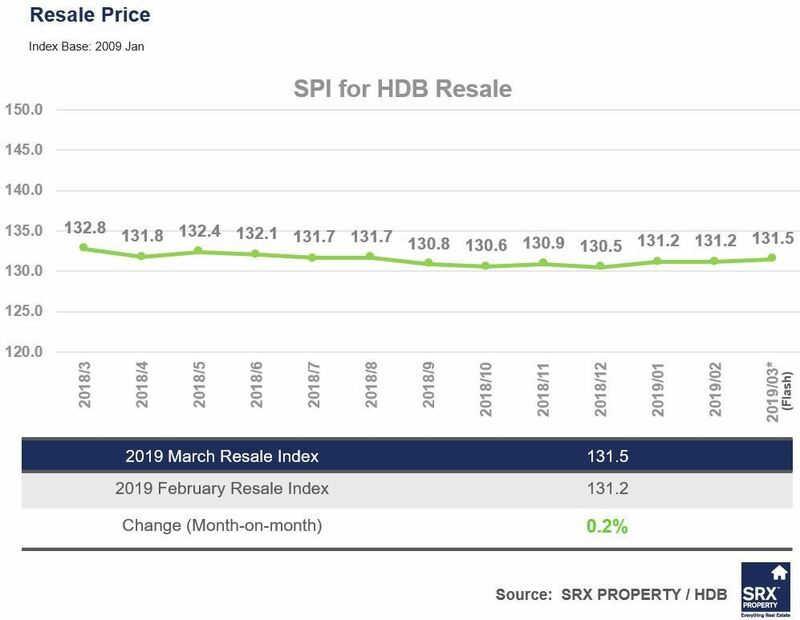 One key development is the provision of an enhanced desktop valuation, which will incorporate new electronic visual data such as Google Street View, Microsoft Virtual Earth and oblique photogrammetry. The second area of development is in the field of valuer interactivity, which will allow the selection and modification of comparables. Since 2007, the RightmoveTM AVM has been used by UK lenders to help them value property. It is used at all stages of the lending process from origination through to completion and throughout the life of the loan. In 2008, Savills adopted the use of the RightmoveTM Rental AVM as the solution to establishing a rental valuation with a RICS approved method. In addition, Savills are able to run the AVMs on behalf of a client, and add their own local knowledge to the valuation reports as well as providing their own interpretation of the valuation evidence to the final report. This can be particularly useful for unusual property types that are sometimes unique to the social and affordable housing sector. The Rightmove AVM has several very rich sources of data. As the UK’s number one property website, Rightmove have over 95% of the UK’s estate agents listing properties for sale, and around 80% of the UK’s letting agents list their rental properties with Rightmove. Rightmove collects descriptions, pictures, floorplans and the marketing dates of all of the properties listed on its site. Rightmove are also in the fortunate position of having the vast majority of the UK’s chartered surveyors using Rightmove tools to help them with their valuations and the selection of comparable properties. In exchange for access to these tools, these RICS registered surveyors provide their physical inspection information to Rightmove for use in the valuation tools. AVMs have been officially recognised by APRA (Australian Prudential Regulation Authority ) as being an appropriate valuation technique in appropriate circumstance, but only where such models are thoroughly analysed and lenders independently validate the reliability of the model outcomes. AVMs are already being used for originating mortgage loans. In 2015, informal evidence from two of the “big 4” banks in Australia indicates that more than 30% of all mortgage applications are valued solely using AVMs, while up to a further 20% of applications are valued using AVMs in conjunction with other methods. AVMs are also used to revalue entire mortgage portfolios on a periodic basis. Additionally, the ability to provide an on-the-spot valuation and approval in principle is an important device for locking in an applicant before they decide to shop elsewhere. This speed to market requirement is particularly important. In 2015, approximately 50% of all residential mortgages in Australia and 30% in New Zealand are originated through a broker. Full Valuation – valuation performed by a qualified valuer who inspects the property and completes a short form or long form valuation. 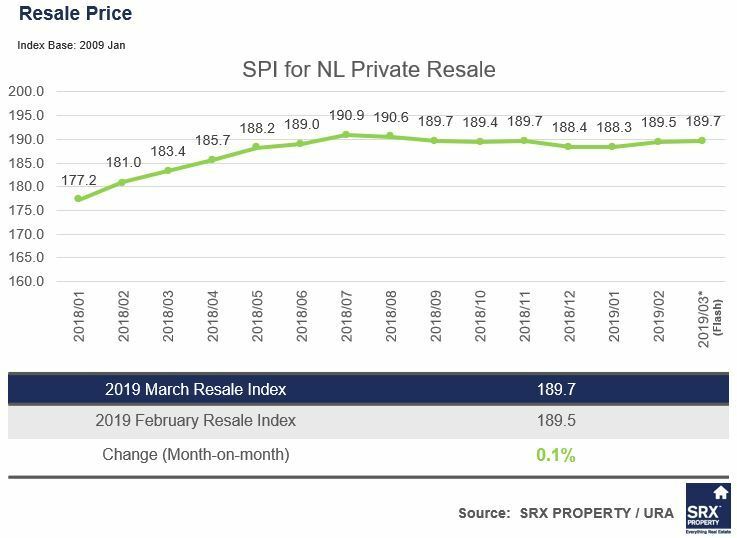 The content of this report is governed by the Australian Property Institute (API) and New Zealand Institute of Valuers (NZIV ). Turnaround time is typically 3-5 days from the valuation being ordered. Drive-by / Kerbside - assessment performed by a qualified valuer who inspects the property from the street only. Turnaround time typically 1-3 days from the valuation being ordered. Desktop - assessment performed by a qualified valuer who uses data and photos to value the property remotely. Turnaround time typically one day from the valuation being ordered. Automated Valuation Model (AVM) – uses a statistical model that looks at a variety of data (property attributes, comparable property sales, subject property prior sales, geographic price performance etc.) to estimate the value of the property at a given point in time. The valuation can be performed real-time (on the spot) with a Forecast Standard Deviation (FSD) provided to measure the certainty in the valuation amount. Existing valuations (often indexed up to reflect current conditions). 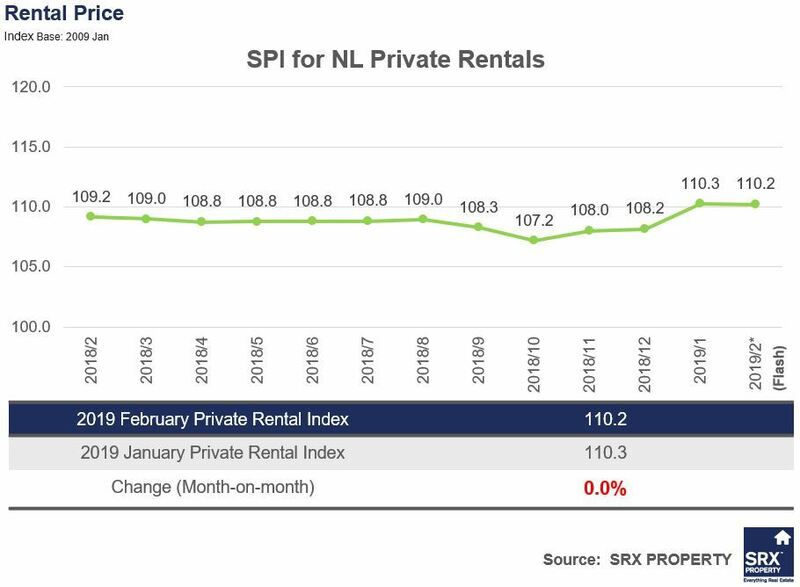 Rental Market Remains Stagnant in February 2019 for Non-Landed Private Residential and HDB. Volume in Both Markets Decreased.